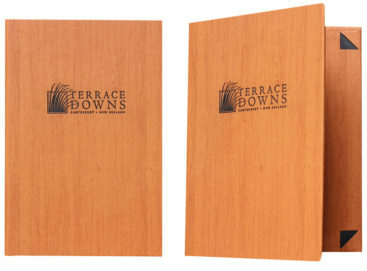 The Dye-cut Frames Menu Cover will beautifully frame up your printed menu pages. We make them in two versatile sizes to fit both A4 or A5 sized paper. 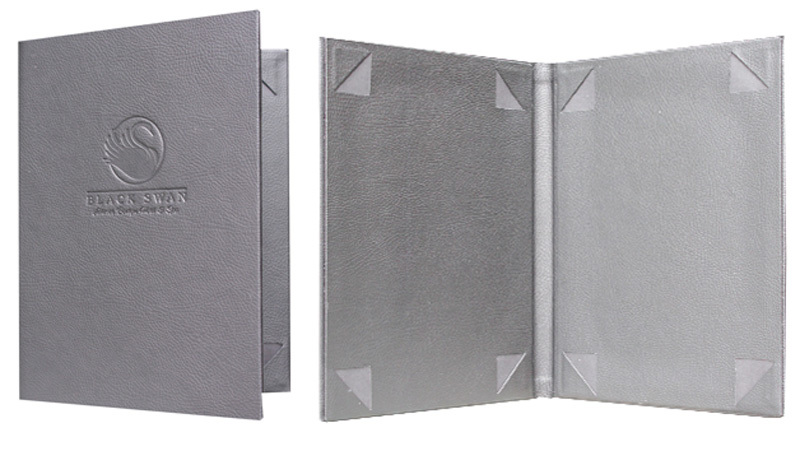 The Dye-cut Frames Menu Cover can be made out of any of our tested durable materials, from our Premium Buckram (linen-look) to our premium PU Leathers. This custom menu cover will hold one sheet on either side so you can display up to two sheets of paper. 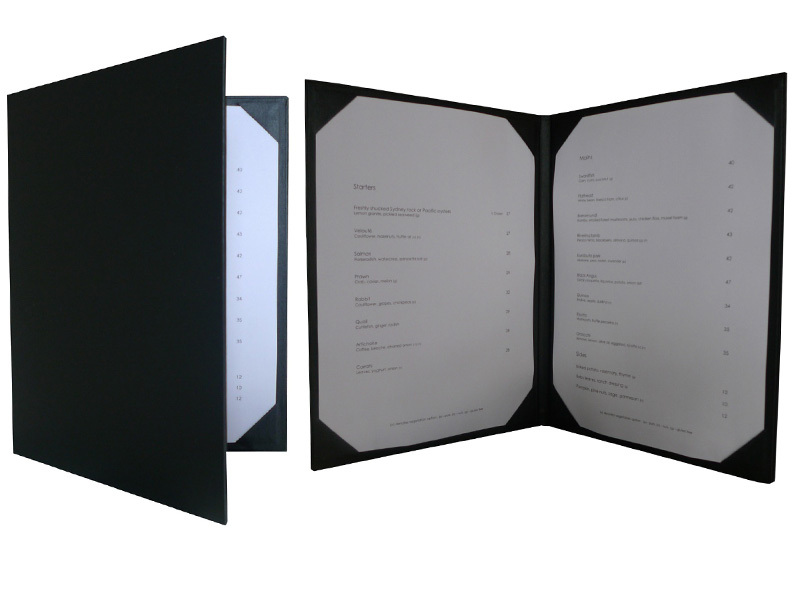 It is is ideal for smaller size menus and wine lists. The Dye-cut Frames Menu Cover will mean you can print and install in house, or for a nicer paper and print finish we can print for you. Simply slip the edges of your paper into the corners and your done. Select a size, add some price information here. Add a nicer finish with our metal corners, we only use the most durable material so they are not needed for durability but they are guaranteed to look great! SKU: DCFA4. 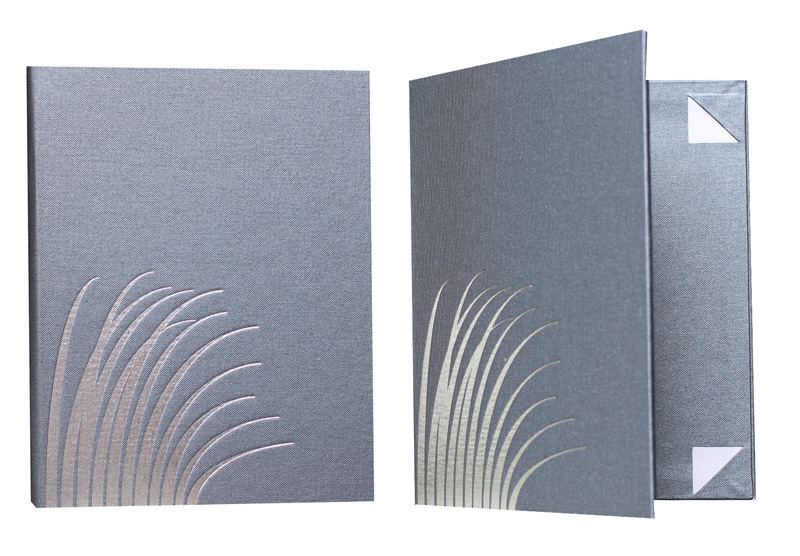 Category: Menu Covers. Tags: featured, homepage.